The world economy now is governed not only by some basic industries like agriculture or mining. Some of the industries are gaining importance than anything else. They are contributing a bigger portion in the GDP of any nation. IT industry comes at the top among all such industries. This industry includes many things, like that of application generation, database creation and monitoring, simple programming, software designing and even creating the data storage functionaries. This is a prime reason, why students are going ahead in these fields. Cloud Computing is one of the evolving field in the IT segment. It is affecting the entire IT field and also changing the market scenario. The syllabus that is covered through the cloud computing is not a simple one. Here are the three things that are covered in the entire course. Concept of data center – Data center or data hub is the location, where all the details are stored and circulated. The technique of its operation and the details of the computing process is declared in the course coverage. Cloud details – What is covered in the cloud technology and what is exactly dealt in the matter is covered in this training sub part. Unless the cloud concept is known to an user, it becomes tough for the user to work on. Owning Cloud – The next part of the training is to own a cloud storage and work on to it. Synchronizing the cloud space and integrating the data in the storage are all dealt in this part of the training. Cloud brings the perfect solution to control the project work and accessibility of data. Through cloud storage, entire IT field gets a revival plan, especially for the accessibility of data, at any place. Cloud allows maintenance service and that can be aided with upgrades and repairing too. This is one of the top support which supports the IT team for their expansion. The support that is available in Cloud computing is not only for the IT people, but also for the general users. 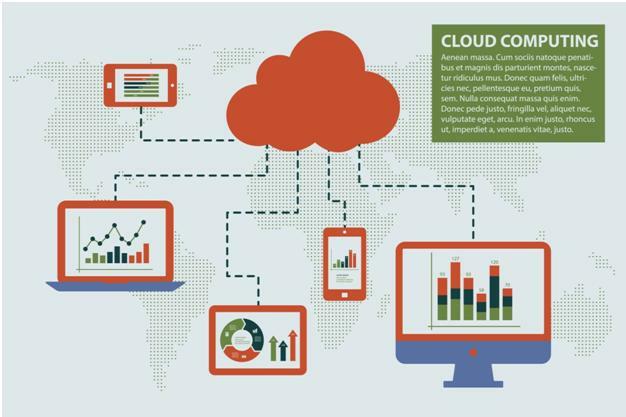 Cloud computing is giving the perfect way out to reduce the hand held computing systems. The certification is a role based one and hence is fit for all areas. This is the computing system, which is perfect for all types of industries and firms of all sizes. Hence, exposure is always there for a student, after following the course. This is the method that is going to support any organization to get rid of lock in from vendors. There are different use of the technique in the industry and that is going to help all the firms in their operation. Cloud computing has not only brought a new solution for the IT people, while developing a software. It is a support that is going to help the companies to develop online operating tools. Online operating tools need the database support. If the data base is to be attached with the executing file, file size becomes that it is often avoided by the users. With this new technology, the support is available online and hence database has to be fetched and not stored. File size of the executable file also reduces and becomes friendly for the users, over computers and over smart phones. There are different things that are attached with the cloud computing system. Whether you are looking to apply the same or going to get the training for your profession, this course is ready to be used. Its demand in the IT field is also huge and that is definitely a green signal for all professionals.